This blog is officially 1 year old! It's incredible for me to look back, to think that a year ago we were just beginning to consider the concept of "Eisley". She was still a distant reality. In the last year, this blog has morphed dramatically. I started it originally as a way to journal my pregnancy. Honestly, I never expected myself to keep up with it. But it became my vice. My addiction. I blogged my pregnancy, there's plenty of hormonal rants if you go and read back. I didn't post many pictures back then, as you may remember, because we used to not have a digital camera (thanks again to my mom, dad, sister, and Justin for going in on a great digital camera for my last birthday - I'm so glad I have it! Anyway. I'm so glad I created this blog. I think it will be so awesome someday for Eisley to come back and read about the story of "her" (and possibly someday her siblings) and how much her mom and dad loved her. Not that this blog could ever express that emotion adequately enough. Yesterday was also a very special day for us because we learned that Eisley's godmother, Angela, is growing Eisley a little GIRLfriend! Mara Jade will be here in April, hooray! 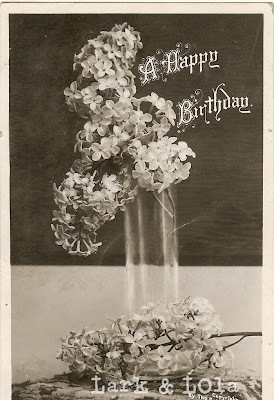 Happy Birthday to you, you made me blog too, I wish that you hadn't, but what does one do? Yay for one year!I think your blog was/is a great idea to chronicle the beginning of Eisley and I think one day she will greatly appreciate being able to know her "history". Blogging becomes addictive, doesn't it? I'm glad you started a blog, Bea!